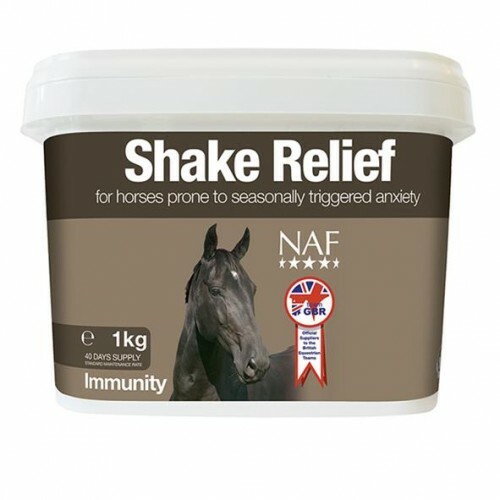 NAF Shake Relief is a veterinary developed formulation which provides essential vitamin support to horses that suffer with seasonal anxiety and head shaking. Symptoms can be seen due to various factors including pollen, flies or bright sunlight, which can make them incapable of being ridden or being able to relax around the field. Shake Relief contains a selection of natural antioxidants which helps to flush harmful toxins from the system, while a special complex aids the immune system. MSM has also been included to provide support to nerve and soft tissue. 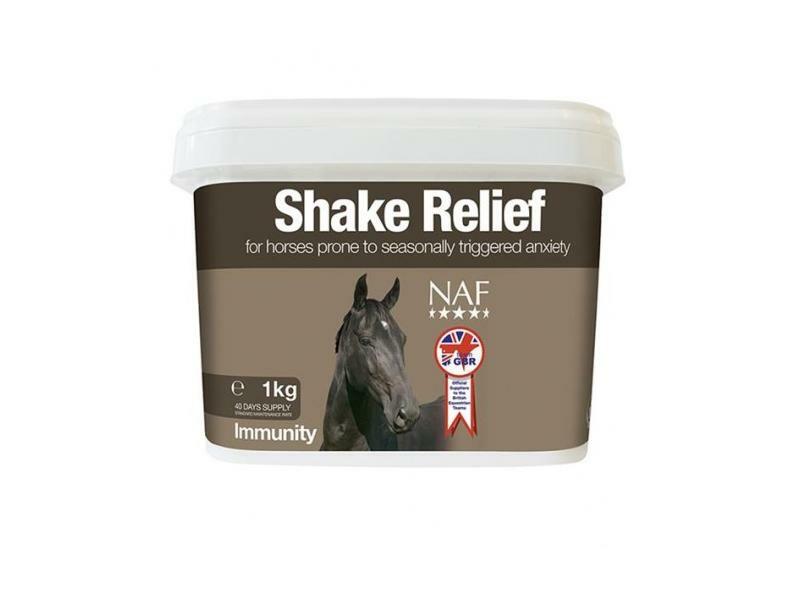 There are currently no questions for NAF Shake Relief for Horses - be the first to ask one!